Homepage > PEUGEOT 107 NEMOS 14" ALLOY WHEEL [Fits all 107 models] 1.0 1.4 HDi NEW! Nemos 14" Alloy Wheel. Choose from a wide range of light alloy wheels to model your vehicle in your image. This will accentuate its sporty aspect, give it an original look and enhance its dynamic character. Tyres not included but original tyres as fitted to steel wheels can be used. Product Description: Nemos 14" Alloy Wheel. 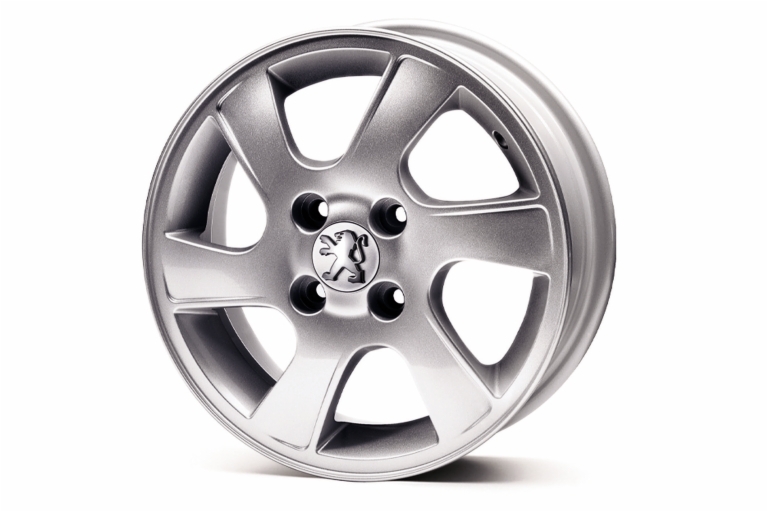 Choose from a wide range of light alloy wheels to model your vehicle in your image. This will accentuate its sporty aspect, give it an original look and enhance its dynamic character. Tyres not included but original tyres as fitted to steel wheels can be used.